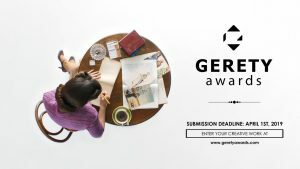 The Gerety Awards deadline is in just 7 days time. 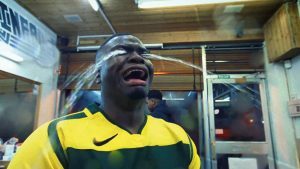 The award whose call for entries film with a compelling throwback to Frances Gerety - the copywriter which the award takes it name from- was viewed over twenty thousand times is sending out a reminder on the deadline. With only twenty places available, entries to straight 8 shootout at Cannes are highly coveted. Any creative company can enter, and only companies who have registered their interest will receive an entry link on 1 April 2019. The Gerety Awards calls for entries with a compelling throwback film to Frances Gerety - the copywriter which the award takes it name from. 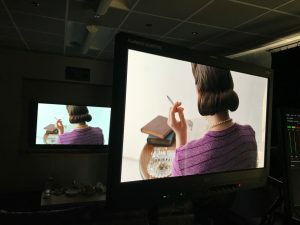 A Diamond Is Forever starts with a top shot of Frances Gerety writing at a table, taking the viewer through her train of thought while trying to come up with a tagline for a DeBeers diamonds campaign. Pondering over the fact that ‘we all need to leave a mark on the world’, she eventually comes up with the slogan that resulted in her famous line: ‘A diamond is forever’. Entries submitted before March 31st will be able to take advantage of early bird rates. The final deadline for entries is May 15th. Submissions for Outstanding Locations in the categories of Film, Television, Commercials and Film Commissions are still open for the sixth annual LMGI awards. 2019 Oscar Winners: where did they shoot? Marking the climax of the 2019 awards season, The Location Guide takes a look at the global locations where the winners at the ninety-first Academy Awards shot.